We specialise in double glazing windows ( we also do triple glazing). Our upvc windows are A-rated for energy efficiency as standard. 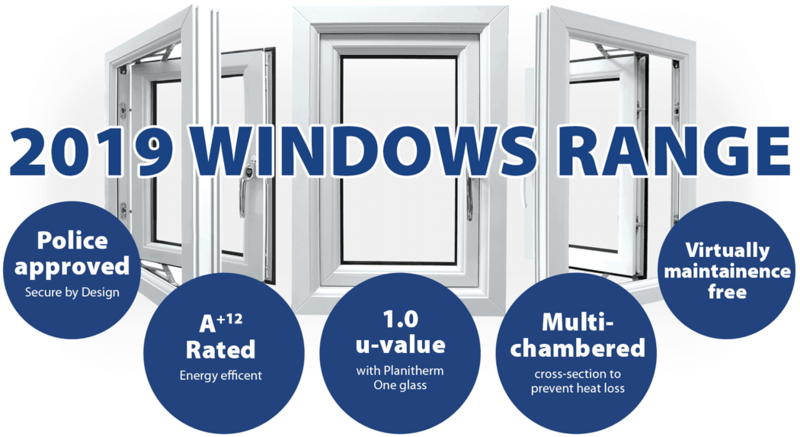 uPVC A-rated energy efficient windows | Windows for your Bristol and Bath home. With 100s of windows style, it is easy to find your perfect match which will transform your home’s appearance, deter burglars as new uPVC windows are packed with security features and increase your green credentials enabling you to lower your energy. Privacy glass options available when a level of privacy is required. uPVC is as standard – aluminium windows are also available. Learn more about the benefits of aluminium. All our windows have a thermal rating of ‘A’ or higher. Energy efficient windows ensure warmth stays inside your home and not wasted radiating out of your windows. Less wasted energy means lower energy bills which is better for the environment. 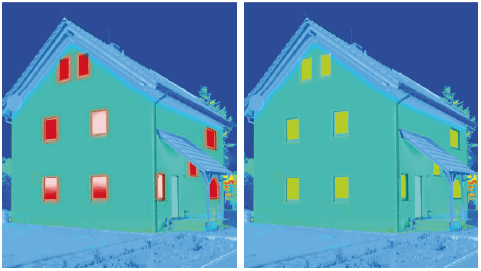 Our competitors offer Planitherm as an upgrade option, however, we offer it as standard. The special clear coating on the glass reflects away heat from the sun, while optimising heat retention in the room. The transparent, laminated layer creates a strong barrier, dampens noise and blocks UV light (which helps prevent furniture fade). The most popular option for window replacements. An extensive range of designs and styles to choose from. All our windows come with a 10 year guarantee on product and installation. Sash windows have always had a strong reputation for durability, natural ventilation and longevity. By choosing our sash windows you shouldn’t expect anything less. Based on casement windows with the added benefit of being able to clean the outside from the inside. Great for properties where access is limited or difficult. 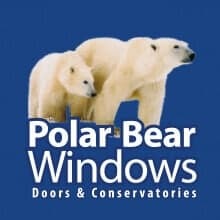 There is a 10 year Polar Bear Windows Security Pledge on all doors. Each door has a multi-locking system and several security features to keep your home safe. Let more light into rooms with bay windows, view our range of windows today. Traditional looking windows with all the benefits of modern uPVC. A premium range which compliments period properties. Resembling 19th century timber windows, Residence9 premium windows take advantage of modern technology in a period style. Rated A+ for energy efficiency to keep the warmth in and lower your energy bills. With a wide range of stylish windows designs, you will be spoilt for choice. All our windows are virtually maintenance free, saving you time, hassle and money on maintenance. No need for painting, varnishing, regular cleaning or oiling, risk of rot or chipping. The security of our customers is very important to us which is why all of our windows come packed with security features like multi-point locking systems, that are Secured by Design accredited, the offi cial Police initiative backed by the Home Offi ce Crime Prevention Unit. Enjoy peace and quiet with our windows, the properties of the glass, frame and argon fi lled middle ensures a good level of sound proofi ng as standard. If you live next to a busy road we recommend 6.4mm toughened/ laminated windows which reduces noise pollution signifi cantly.